If you're looking for the perfect laid back statement, then our Mason Jar of Love table cards are the ideal option. 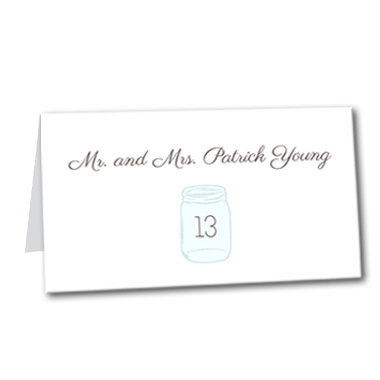 It features a mason jar graphic with your table number inscribed on the jar. The guest name appears in beautiful font on top of the mason jar. Mason Jar of Love Table Card For the best experience, we recommend personalizing your stationery on a desktop computer.